With a wild start to 2016, today a legend in the business sent King World News a powerful piece predicting that the price of gold will exceed $2,000 this year. John Ing continues: Markets are concerned that the round of negative interest rates means central banks have exhausted their options and there is growing skepticism that it won’t be enough to revive the global economy. The Federal Reserve put on hold any move to increase rates after its minuscule 0.25 percent increase was met with collapsing markets and a weakened greenback. And the dollar has peaked because of concerns about America’s faltering economy and doubts they can raise rates again, particularly in an election year. Negative interest rates, last seen in the Great Depression, have turned the world topsy-turvy with everyone paying for the privilege to save and borrowers, paid for borrowing. But why should one pay a penalty to leave their savings in the bank, when they could always keep it under the mattress? 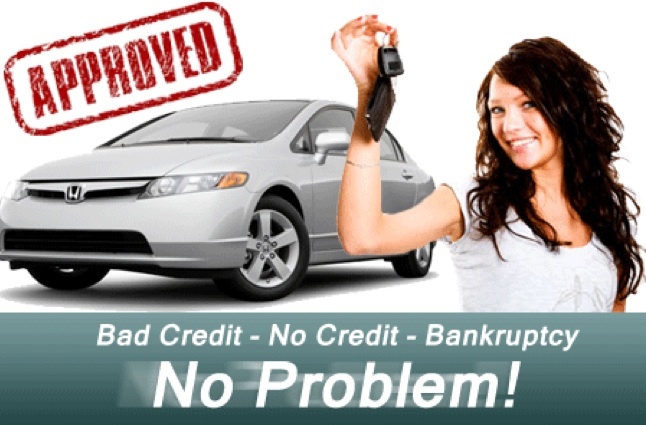 Cars are now financed with low or zero-interest loans and like the subprime days, a trillion dollars were packaged into five year paper, but 60 day delinquency rates are now at the highest level in two decades. It is not the level of rates that is worrisome, it is lack of confidence in money and what the central banks are doing that is so troubling. Paper money is simply dying. Since 2008 our politicians have left the tough stick handling to our central banks. Fiscal policies were absent. The G20 meeting in Shanghai ended in failure. America seems stuck at two percent growth, while the oil sector has put a dent in the world’s economy. Moreover, US policymakers are stuck in election mode and no one can make the courageous decisions. China, now the world’s second largest economy, still grows but not enough it seems to pull the rest of the world along. And China’s foreign exchange reserves have been falling as it dips into its massive reserves to cushion a declining renminbi — an extension of the “stealth currency war” where countries depreciate their currencies to help exports. Running out of ammunition, we believe the adoption of negative interest rates is an extension of this “beggar thy neighbor” currency war, which moves the problem from one country to another. By unleashing unconventional monetary practices as early as 2000, global central banks inflated stock and bond prices, which imploded in 2008, and again inflated another bubble such that governments today face another solvency crisis. The big banks have so far taken the brunt of negative rates because of the difficulty of passing on the costs to their customers. The cost of insurance against bank defaults widened over worries of contagion since, under negative rates, the banks’ traditional spreads are reduced, challenging a still fragile banking industry. Cash is no longer king. Central banks, once the stewards of our money, have become creators of money and, the the latest move simply pushes currencies lower with unintended consequences. But zero interest rate aren’t the reason for subpar economic growth. Central Banks – The Wizards of Oz? The European Central Bank (ECB) loaded its bazooka again, introducing more rate cuts and more asset purchases, despite neither working in the past. This time Mr. Draghi’s bazooka shot blanks. Running out of ammunition, central banks appear to have lost their magical powers to boost global growth. Describing central banks, Chinese central bank governor Xiaochuan recently explained, they were “neither a god nor a magician.” Then Neil Kashkari, head of the Minneapolis Federal Reserve described the Fed’s, “Wizard of Oz routine that we are so mysterious and you can’t understand what we are doing”. He said, “and that really hurt trust between the people and the institution”. The dilemma for central banks is that their creation of money was unable to boost spending or economic growth whilst debt kept mounting. Debt on debt is not good. Confidence in our central bankers has declined. In fact, the solution today seems very similar to the Latin America solution where cash is handed out, then capital controls with price freezes are imposed followed by currency depreciation and hyperinflation. Instead our central banks would be better off purchasing that debt now, which is trading at a discount to extinguish these liabilities. After years of quantitative easing, five countries including Switzerland, Denmark, and Sweden and now Japan, pay negative returns to investors. While some central bankers hoped quantitative easing would spur spending, their economies are still weak despite racking up more than $7 trillion of debt. Between 2008 and 2015, the Fed’s balance sheet jumped over $5 trillion or some 26 percent of GDP. That amount is equivalent to the value of all the world’s coins and bank notes. The Bank of Japan’s assets are at a whopping 70 percent of GDP. The debt load of the banking system, the central banks’ surrogates has grown so much that Europe’s Deutsche Bank AG has derivative and asset exposure equivalent to the world’s GDP, supported only by a skinny capital base of $30 billion or only 11.1 percent. No wonder investor anxiety and credit default swaps are widening to levels not seen since 2009. Déjà vu. But people aren’t stupid – if you charge them to hold their savings, they won’t necessarily stuff their mattresses but will look for alternatives to hoarding – thus the move to gold, oil and lately iron ore! Investors can only look to the United States where there is a cry for change amid a rising tide of economic anger paving the way for Donald Trump, likely the next Republican nominee for president. He has been called a bully, fraud and a threat to democracy by mainstream pundits, media-types as well as his own GOP party. But rather than worry about his message, we should listen to those who are voting for this establishment outsider and their rationale for a need for change. Indeed, eschewing political correctness, his populist message attacking the mainstream is not new and is just timeworn politicking or marketing. His remedy though to shrink big government and big business has resonated among this disaffected class who want the canon of often promised jobs, health care and security. What is different is that the Donald’s message focuses on the messenger, unlike the last president and others before who offered hope and change but delivered neither. What they got was more spending, more debt, more promises and a widening gap between rich and poor. Many of his supporters are the blue-collar and middle-class supporters, fed up with the status quo after being ignored and part of the millions of Americans without jobs. Trust was betrayed in a statement against political correctness. On the other side, Hillary Clinton, a key member of the party establishment, is set to sweep aside populist Sanders. As a result, in the ultimate reality show, we are to witness a battle between extremes, the political class, billionaires and sexes. And the message? Oscar Ameringer (the German-American socialist editor) cynically wrote, “politics is the gentle art of getting votes from the poor and campaign funds from the rich, by promising to protect each from the other”. The Donald won’t be the only politician to back away from promises. But the irony is that this GOP reality show has broken out into open warfare, attacking not the Democratic nominee but their own Republican candidate, threatening to use the very party establishment and elites to usurp the democratic process. How undemocratic. 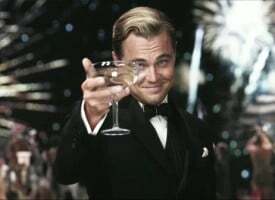 Nonetheless, prepare for a volatile summer and likely, a brokered convention. The voter frustration has also spilled over into investor anger and the loss of trust in our markets, currencies and their creators. There is even a loss of faith in our public institutions. Here again, our central bankers have failed. Markets are looking for change, reform and a store of value in our money since mattresses can’t hold enough. Gold is a good thing to own in this environment. Central banks around the world have tried to foster growth by aggressively printing money, which of course devalued their currencies causing a stealth accumulation of physical gold by shrewder central banks. The numbers are startling. Since 2007, the Federal Reserve has created more than $7 trillion from the thinnest of air, much of it generating negative returns. Over the same span of years, America’s public debt has jumped to $19 trillion from $9.2 trillion. Negative interest rates are not the solution. America’s trading partners, as before, awash with overvalued and depreciating dollars have been buying massive supplies of cheap gold. Last year central banks bought almost 600 tonnes or 14 percent of demand. The wiser central banks have been buying gold. China and Russia have purchased gold for eight years in a row. China has the world’s fifth largest gold holding ahead of France, Italy and Germany. Since 2010, central banks have become net buyers of gold. The foolish ones like Canada and the UK sold their gold reserves. Currency wars have happened twice in the last century and are a reflection of paper currencies collapsing in value. A gold standard or quasi-gold standard is inherently invaluable. Politicians can’t inflate the money supply under a gold standard, and the supply of gold can’t be expanded by the push of a button. For thousands of years, gold had a long-term record as a storehouse of value. Ironically, the world’s central banks have created record demand for physical gold. At one time, central banks acted as clearinghouses or custodians for gold. Countries placed their bullion on deposit at the central bank, receiving a claim that could be redeemed upon demand. 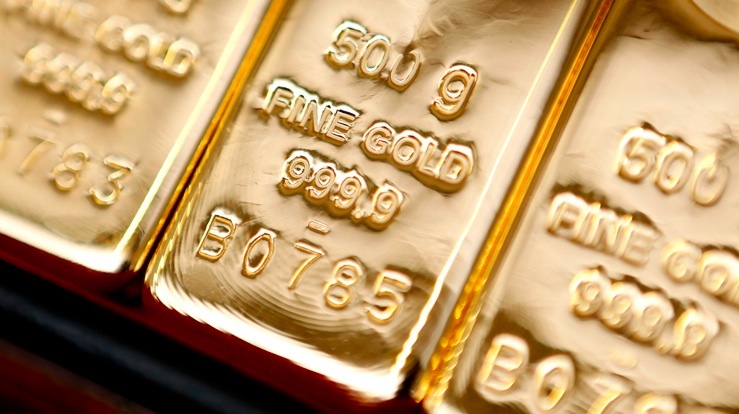 Gold would be transferred from warehouses to warehouses in London, New York, and Fort Knox. Wars were fought and gold was transferred from country to country in order to finance those wars and later, repatriation. Central banks were the conduit. In 1971, President Nixon took the US off the gold standard in response to the flood of dollars that were seeking redemption into gold. 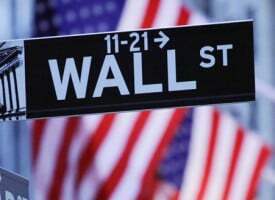 America’s rise and use of the dollar as a reserve currency became the cornerstone of money as a medium of exchange. However that cornerstone is built on layers of debt. The Federal Reserve was granted enormous powers following the monetary collapse in 2008, caused in large part when they lowered interest rates from 6.5 percent in 2000 to a paltry 1 percent in 2003. This easy money sparked the housing boom and crisis. Once again, the Federal Reserve has inflated another bubble, expanding its balance sheet by creating money out of thin air. Of concern is that the largest debtor in the world now depends on foreign capital to finance its large fiscal deficits and an avalanche of dollars from America’s IOUs. This has already caused a significant loss of value. The allure of the gold standard is its supply is limited, serving to constrain central banks from printing money and constraining profligate government spending. To be sure, with the likelihood that we might have to stuff our mattresses with our savings, a role for gold is emerging. In fact, there are moves afoot to bring back a quasi-gold standard to back multi-currency blocs such as Asian currencies or petrodollars, similar to the euro, which is linked to a basket of currencies and tied to gold. While America is the world’s largest debtor, China is the world’s biggest creditor. The geopolitical rivalry between China and United States continues even during an election year. The US views China as a rival and heated up trade disputes (steel) and skirmishes over the South China Seas. Were China to visit Cuba with its armada, the United States surely would certainly oppose such a move. The introduction of the Trans Pacific Partnership (TPP) without China is another example. While the recent G 20 meeting in Shanghai underlines the importance of cooperation, it was interesting to note that so little was accomplished. Despite this gamesmanship, China desires to maintain a stable and constructive relationship with the United States but to reduce America’s financial hegemony. China also opened its financial markets anticipating an eventual two way flow of funds. 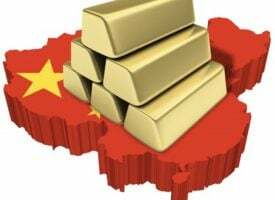 China so far has played a supporting financial role but we expect that the opening up of its markets, the establishment of institutions and its insatiable appetite for reserves (including gold) will redraw the financial market’s map. China’s bond market is the third largest bond market and has opened up to foreign money. While China’s surprise devaluation caught many offside, we believe China does not want to put all the eggs into the dollar basket. China’s push to include the renminbi in the IMF’s monetary basket, and Hong Kong Connect linking its stock exchange, is part of an attempt to open up its capital markets. And of course Americans should remember that China, Russia and Taiwan are the large holders of some $13 trillion of US Treasuries outstanding, and despite their differences remain major holders. However, the recent dip in China’s reserves to support the renminbi underlines their importance and America needs these players to purchase and hold onto that debt. Money is a commodity and trillions ebb and flow. The Fed is supposed to be the steward of the dollar, which is still the world’s reserve currency. However since the Fed has flooded the world with dollars amid growing debt, deficits and political dysfunction, America’s dominance has deteriorated such that the rest of the world has pursued a defensive strategy in order to keep their currencies from rising too fast. Debt is the dollar’s Achilles heel. China holds 1,762 tonnes of gold or only 1.8 percent of reserves. We believe China’s ongoing gold purchases are part of its desire to make the “redback” the world’s major reserve currency – move over dollar. The age old law of physics of supply/demand leaves the dollar only one way to go — down. We believe gold will continue to rise as long as the Fed and other central banks continue to print money in the quest to keep rates down. Thus, the rise in gold this year comes as no surprise. Negative rates and quantitative easing only perpetuated this currency war, providing an underpinning to gold. In an election year, dollar devaluation is a certainty. We believe gold’s second leg of a 20 year bull market has only just begun, and we see a price for gold of $2,016 in 2016. 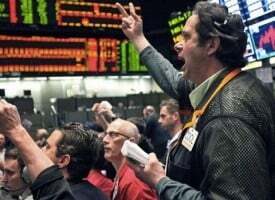 ***ALSO JUST RELEASED: Fleckenstein – Silver May Be About To Scream Higher As People Lose Confidence In Idiot Central Bankers CLICK HERE. Rick Rule – Buys And Sells That Billion Dollar Funds And Billionaire Investors Are Making Right Now! 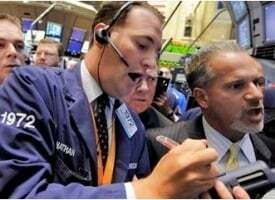 Andrew Maguire – LBMA Paper Ponzi To Be Crushed As Gold And Silver Markets Change Forever! 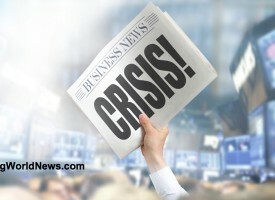 Is This Why The Stock Market Volatility Has Increased So Dramatically?